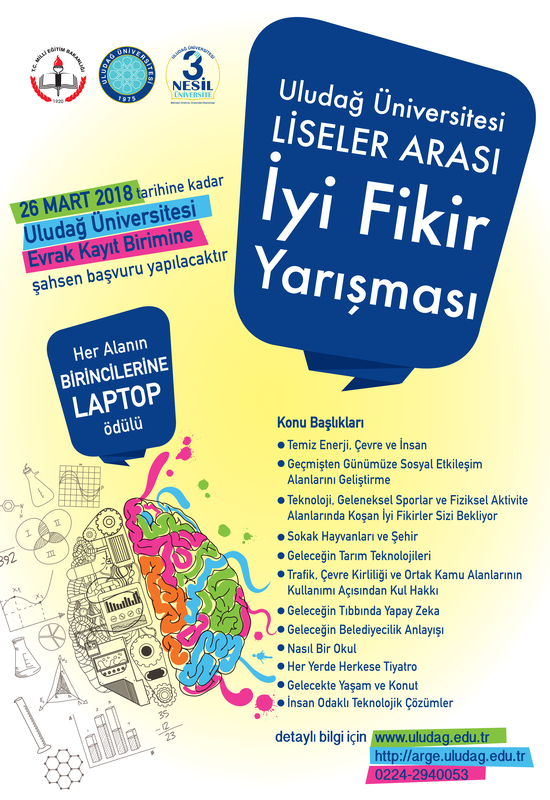 "Uludağ University Information and R & D Days", which is held with the participation of more than three thousand industrialists and academicians every year, also opens to high school students this year. The Rectorate of Uludağ University has decided to hold the "Good Idea" contest, which has been held only among university students, between 3rd and 4th grade high school students this year. Thus, high school students will be able to work with academicians in university environment. The jury, consisting of faculty members from the relevant faculties within Uludağ University, will determine the top 3 ideas for each area by evaluating the ideas of high school students this year. The first best idea-winner student will be given a laptop computer as the prize. 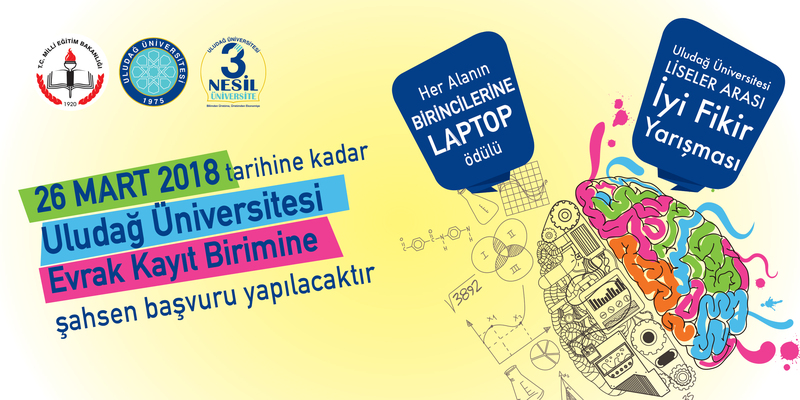 In addition, the first three best ideas in each area will be exhibited during the "Uludağ University 7th Information and R & D Days" which will be organized at Uludağ University on 3-4 April. The students who will participate in the competition must apply in person to the Documents Recording Unit of the Rectorate of Uludağ University by March 26, 2018 by filling out the documents below. Detailed information about the event can be obtained from http://arge.uludag.edu.tr and http://uludag.edu.tr and from 0224-2940053.